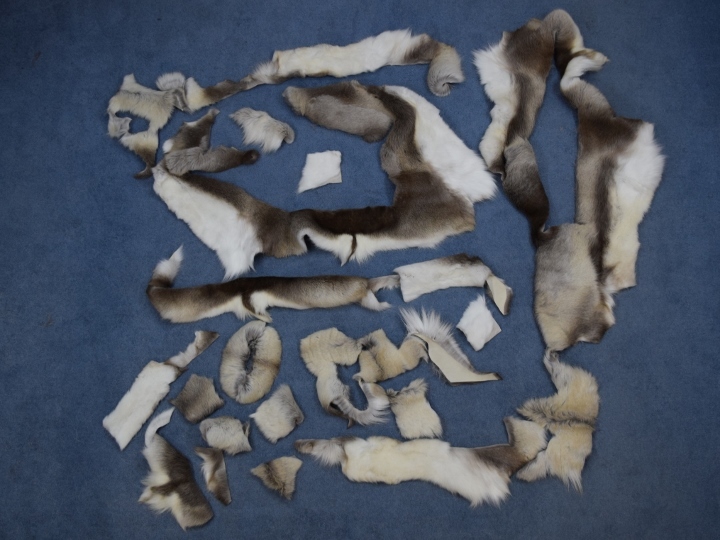 We have reindeer fur scrap that is left over from making parkas, mitts, and sleeping bags for a documentary in Greenland recreating the race to the South Pole between Scott and Amundsen. One pound of reindeer scrap is equivalent to approximately 4 to 5 pieces of the sizes shown above. Sizes of scraps vary. You will get a range of sizes; we do not sort by size.